This is the first confirmation of NVIDIA’s GeForce GTX Titan, which is now probably the official name of this new flagship model. 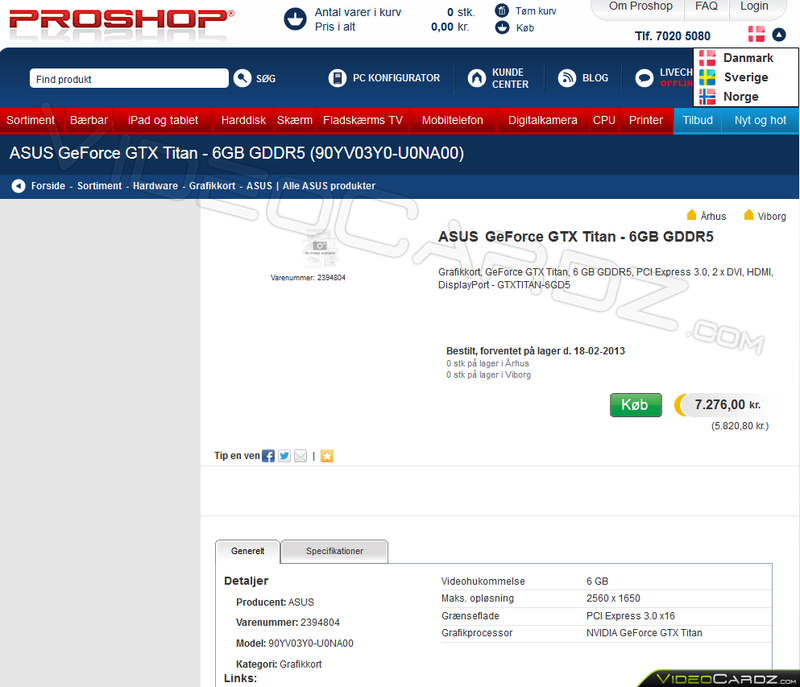 The ASUS GeForce GTX Titan 6GB (GTXTITAN-6GD5) has been listed at a Danish retailer’s website called Proshop. 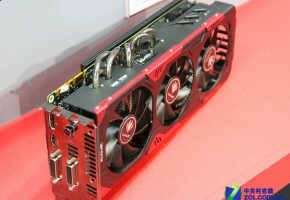 The site reveals some basic specifications, including: 6GB of GDDR5 memory, PCI-E 3.0 interface support. There is also information about the display outputs: two DVIs, one HDMI and a Displayport. 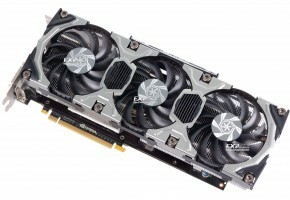 The GeForce GTX Titan is a GK110-based graphics card, which is believed to feature 2688 CUDA cores (with one SMX missing from the full GK110 specification). 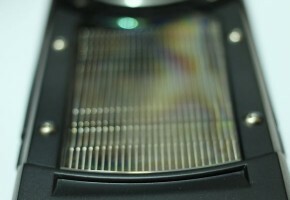 The new flagship model will arrive with 6GB of GDDR5 memory across 384-bit interface (but this is yet to be verified). 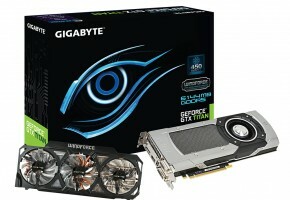 The card is listed for 7.276,00 kr (€900, $1300). This is the European price with a high tax rate. So it seems that the rumors were true, and the card is already being prepared for sale. The product website has already been taken down. First units should arrive on February 18th. Stay tuned for more leaks!